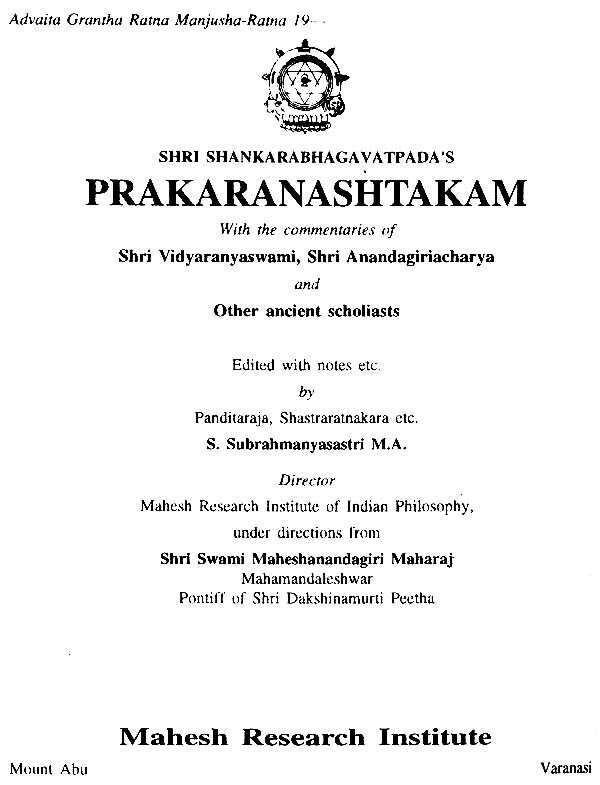 This small volume, containing eight important Vedantaprakarnas of Sri Sankaracarya, along with their commentaries, is an off shoot of the twelve prakarans (prakaranadvadasi) issued by Mahesh Research Institute, as its 19th gem of the Advaitagrantha-ratna-manjusa. It may be mentioned that Atmabodhatika is stated to be from the pen of Sri Padmapadacarya, a learned disciple of Sri Sankaracarya. 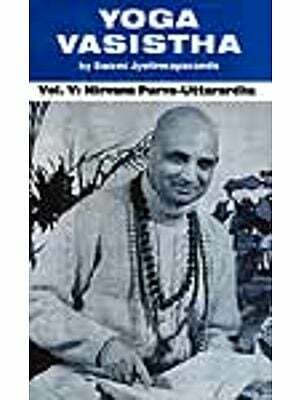 The same commentary is printed and published in Calcutta as a work of Sri Madhusudanasaraswati. 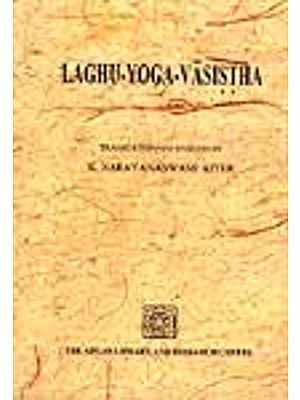 The commentary of Sri Anandagiri the celebrated commentator of all Bhasyas of Sri Sankara, and laso of Padarthatattvanirnaya, Nyayatattvadipavali etc. is published for I. Vakyavrtti II. Atmajnanopadesavidhi III. Tripuri and IV. Swarupanirupana. 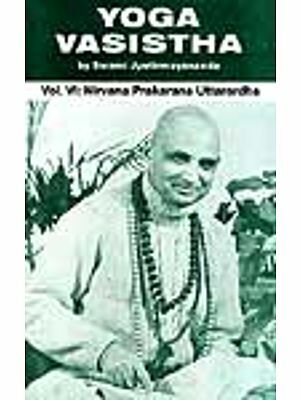 For Manisapancaka Sri Balagopalendramuni’s commentary is published along with that of SAdasivendrasarawati. 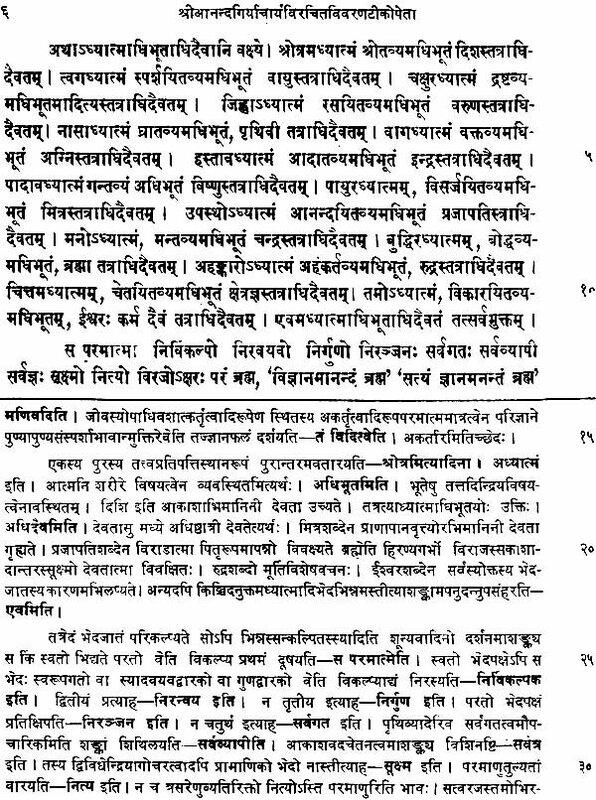 The Upadesapancaka contains Sadasiva’s and Balakrsnanandasaraswati comments. Aparoksanubhuti has Sri Vidyaranya’s commentary. Sri Sankaracarya’s aim in writing prakaranas, apart from the Bhasyas, is to educate in Vedantic knowledge, persons less proficient in various sastras. What the Brahmasutrabhasya, and the other commentaries have arrived at, after long labyrinth, is elaborately elucidated in the prakarana, through simple examples. Moreover the threefold Upasanas of Pratika, Ahangraha and Karmangavabaddha, though condueivc to Moksa by steps are not directly connected with Brahman realization. And hence the great Bhasyakara omits them in prakarans, and the four Sadhanas of Viveka, Vairagya, the six qualities of Sama, Dama etc. and desire to Moksa. These Sadhanas directly help the adept in realizing the self. The unreality of the universe is another important factor essential for understanding Advaita which is also dealt with here. The real nature of Jiva as distinct from the five sheaths (kosas), and the real nature of Brahman which is asanga, not at all connedetd with any matter or quality, are examined, and the oneness of Jiva with Brahman is confirmed in these prakaranas. 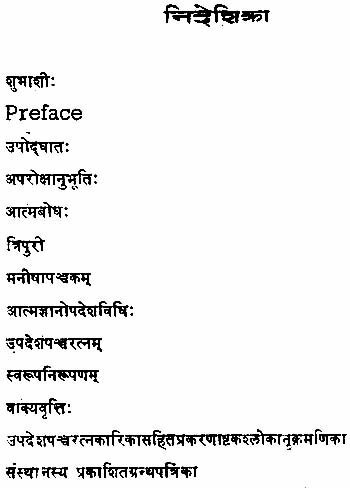 These eight prakarnas are bound in one volume and made available, by the Sansthan to those interested in Advaita.